In truth, I can’t say that I have ever heard a piece of music played flawlessly, exactly as it was written, without even the tiniest of error. However, I have heard many perfect performances. The music was played exactly as intended. I was overwhelmingly absorbed in the music. Any technical errors made were utterly and completely lost to me. Case in point, meet Jeremy Hayes. 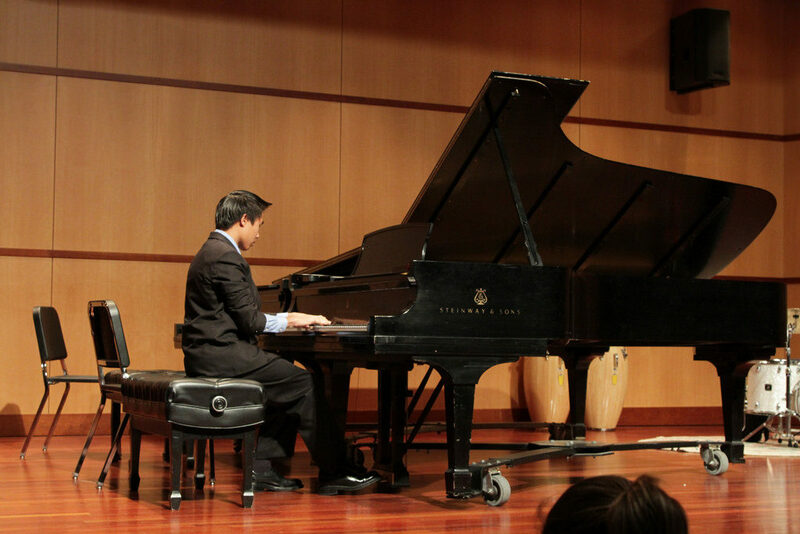 I didn’t witness the recital of this 22-year-old undergraduate student at Indiana University’s Jacobs School of Music. But, if you would have asked him immediately after it was over, he would have likely remarked that it wasn’t worth it. And yet, most audience members gave “glowing accounts of Hayes’ recital”. His performance even brought tears of joy to his piano teacher, who described it as “heartfelt and emotionally moving”. Why such conflicting accounts of the same performance? What it comes down to is that a successful performance has very little to do with playing the perfect notes. In fact, I have seen performances by many of the greats and all of them have made mistakes. Wynton Marsalis has played airy notes. Yo-Yo Ma has played slightly out of tune. Martha Argerich has accidentally pressed a wrong key or two. Even Beethoven and Mozart surely played a few wrong notes here and there. What does this say about the greatest musicians of all time? Is music hopeless? Are musicians doomed for failure? If you have witnessed Marsalis, Ma, or Argerich in concert, you certainly would not believe so. All these musicians do in fact do one thing perfectly: they perform. Performance is not a science. If one were to somehow create detailed charts to compare performances between one musician or another, or even between a particular musician’s performance on one night versus the next, it would be impossible to find two performances that were exactly the same. This is because music is an art. The person creating the music is as much a part of the music as the notes being played. There is emotion. There is personality. There is a show. And, there is human error. Because, humans are imperfect. These are the things that make music great. Without these (including error), music would be dull and boring. You would never want to listen to a song again. So, next time you set out to perform, remember that it’s not so much about the notes you play, it’s about the passion you put into it. At press time, Hayes had finally built up the courage to listen the recording of his humiliating performance from last night. One can never be prepared for a successful performance without proper education and training. Call 310-876-2141 to get started with a free 30-minute lesson!